House price growth for the three-month period ending in November slowed to 0.7% over the previous three months, compared to the 0.9% increase recorded in the 3-month period ending in October, according to the latest Halifax November Index. The prices of houses in the three months to November were 8.2% higher than in the same period in 2013. Halifax informs that house prices are now rising at their slowest rate since February 2014. From October to November, prices rose by 0.4%, compared to the -0.4% decline in October versus September. A total of 98,490 homes were sold in October, the first time this year the monthly figure was below 100,000. However, the total for 2014 is forecast to exceed 1 million, for the second successive year. This will be the first time since 2006/2007 that sales have been over 1 million for two years running. Mortgage approvals in October fell to 59,426, which is 22% lower than January’s 76,574. 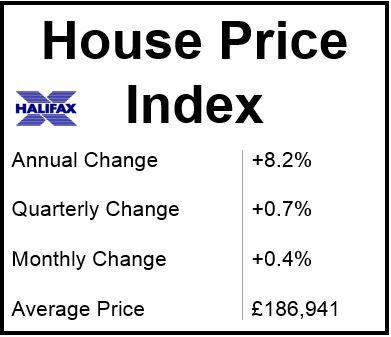 Source: Halifax House Price November Index. Halifax expects house price growth to moderate further over the next twelve months. An increase of 3% to 5% is predicted for 2015. Higher interest rates at some time in 2015, plus a deterioration in affordability over the past 12 months, will together undermine housing demand.